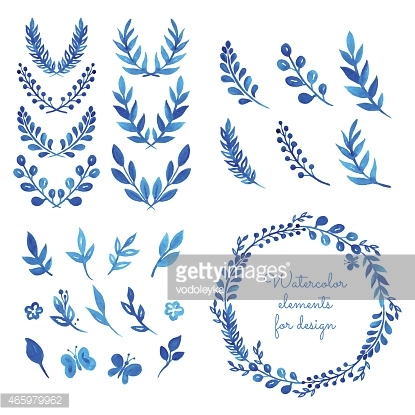 Set of watercolor wreaths and laurels. Set of Wreaths and branches. Vector illustration. Set of golden laurel wreaths.